While there is still a considerable amount of time until National Decision Day on May 1st, many high school seniors are already beginning to receive news regarding their college applications. It is therefore a time of great celebration for the students who are accepted into the schools of their choice, as well as some feelings of disappointment and frustration for the applications who have been turned down. It should be acknowledged that a lot of hard work and effort has been made into juggling the various responsibilities and stressors of high school life in order for any student to successfully apply and to be accepted into any college or university. However, it can be argued that just as important as deciding which school your child will be committed to attending for the next few years, is proactively determining how they will handle the upcoming transition into college life. As in many situations where learning can promote healthy growth, below is some information that can be used for future conversations with your young adult child. These early conversations will not only help normalize these commonly experienced difficulties, but open lines of communication for future discussions. More specifically, these topics can be used to gain an understanding to why students may struggle with adapting to college life, and how your child can better prepare for their future. The hope is for students to become more self-aware of their own individual needs and to be mindful of the valid reasons one can advocate for future support if needed. Important developmental tasks that are part of becoming a young adult include building skills and abilities to more effectively manage emotions, developing a sense of autonomy, and establish one’s identity. Traditional college students are living away from home for the first time and have to adapt to a new environment. Therefore, some students have to deal with separating from their family of origin, while also establishing and maintaining new peer connections. College life typically requires students to take on more independent living responsibilities without the comfort, familiarity, and support of family and friends. Numerous students will work part-time jobs in order to afford their education and manage financial stressors. College students can face an increase in rigorous course requirements and more challenging content with their classes. 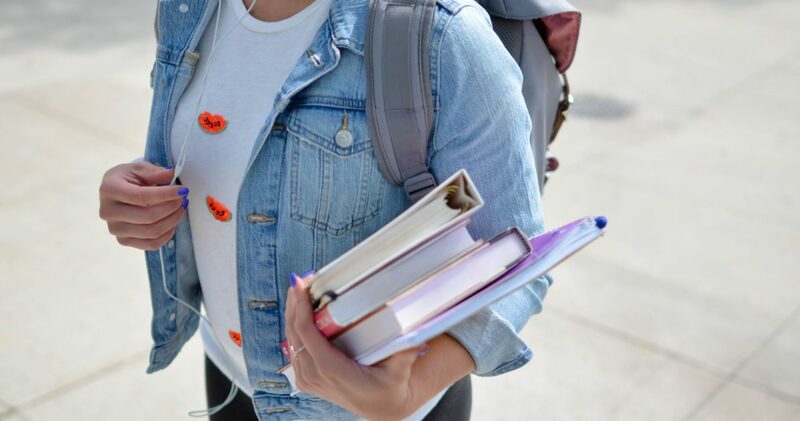 College coursework is characterized by a self-directed learning style, which requires students to be more accountable for their work and to actively engage in effective time management and study habits. Traditional students that live on campus can experience disruption in their academic studies, due to the close proximity of residential living. Students may experience pressure to misuse alcohol and drugs, as well as experience distraction and concentration difficulties from the behavior and lifestyle choices of other students. Students may experience feelings of isolation as they transition into new peer groups and explore different relationships. Influence from peers can increase students’ participation in risky behaviors and the practice of unhealthy lifestyle choices, which can be detrimental to their personal health and academic performance. Students can experience peer pressure with binge drinking, physical inactivity, poor sleep routines, and unhealthy dietary habits. Experiences of sexual assault and abusive relationships continue to increase on college campuses, with the majority of incidences of sexual assault going unreported and with most victims knowing their assailant on some level. Another significant part of college life for many students includes the participation in exercise classes, recreational clubs, or playing for a university team. Student-athletes can be subjected to various pressure and demands of training within competitive sport environment. Student-athletes can be exposed to a culture in which high levels of alcohol use is considered the norm in social situations. University Counseling Services continuing to report an increase in students experiencing significant mental health issues. Peak onset for many mental health problems can begin before the age of 24 years, and as a result, several students experience the onset of significant mental health issues or an exacerbation of previous difficulties. University Counseling Centers commonly work with students to manage issues of substance use, anxiety, depression, self-harm, and suicidal thoughts. Unaddressed mild mental health issues can also negatively impact students’ wellbeing and academic life. Based on my own personal time spent studying at Universities and later working at a University Counseling Center supporting the mental health needs of college students, I believe it is paramount to proactively explore, discuss, and plan with your child the many obstacles and issues college students may encounter. With consideration and acknowledgment of these many interconnecting factors that pertain specifically to college student-life, students can be more prepared for their commitment on National Decisional Day and parents can feel more confident that their young adult child will be ready to handle the many obstacles of college life before they even set foot on campus.